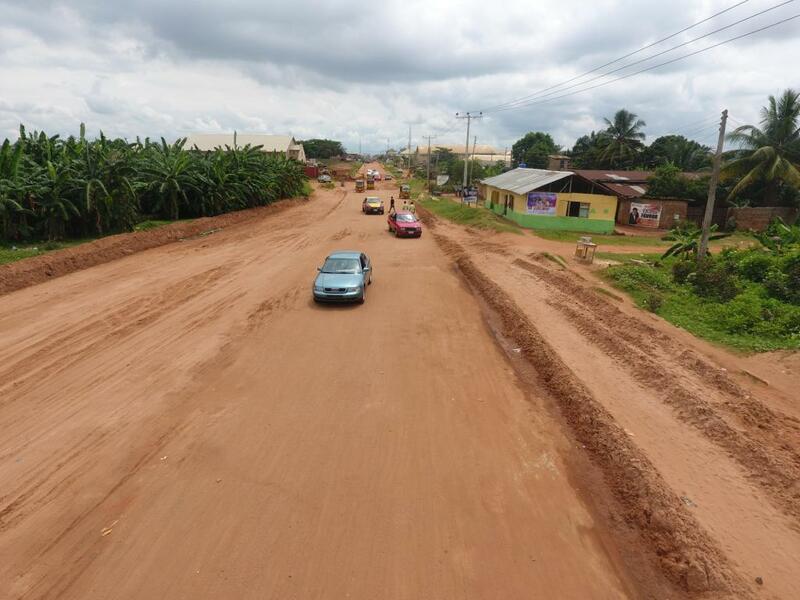 Residents at Lucky Way in Benin City, the Edo State capital, can now heave a sigh of relief due to the ongoing rehabilitation work to reconstruct their roads by state governor, Mr Godwin Obaseki. The link road, connecting Ramat Park to Upper Mission, had been in horrendous shape for years and had caused severe heartache, with several motorists and residents noting that the road could not get any worse. Describing the ongoing rehabilitation as long-awaited, Madam Peace Paulinus, whose tailoring shop was along Lucky way, said the road was in such a condition that rains rendered it virtually unmotorable. “The absence of tricycles is a big challenge to all because it makes it difficult to get to your destination. I was the happiest person when l noticed that government had deployed contractors to Lucky Way Road to rehabilitate the road. I will be glad if the road is rehabilitated”. Meanwhile, Pastor Samuel Aigbokhan, a furniture maker along the road said business had slowed because the road was bad and no one had the wherewithal to transport furniture along the dilapidated road. He said: “As the government had started this job, Obaseki deserves commendation. I was rejoicing. I was so happy. I had to bless the name of the Lord for using the governor to do a wonderful work at Lucky Way Road. We want him to continue the good work he’s doing in Edo State. It was as if we were in the wilderness, but now the light has come”, he added. Unable to contain his excitement, Mr. Ibeto, a tradesman, who was looking on as Pastor Aigbokhan spoke, chipped in that: “For the past 12 years, we expected the government’s presence. Tricycles and pedestrians could not access the road”. A welder, Mr Joseph Odion, reacting to the ongoing repair of Lucky Way, revealed that for more than 13 years, he had been working as a welder and fabricator, even before the road was constructed and that lack of proper drains incited the erosion that eventually destroyed the road upon construction. Commenting on the reconstruction going on at the road, Engineer Ben, the contractor and site engineer from Glatrico International Limited, said: “We met this road, Lucky Way, in a very dilapidated position. It is not what the inhabitants can use. Everywhere is flooded. All the drains are clogged up. The road is totally out of use”. The stretch of the road is three kilometres from the Ramat Park end to Upper Mission, the terminal point of the job. A new side drain will be done and be channelled underground to the drainage located at Auchi-Benin Road. A deep manhole of about 12 meters depth will be constructed to take the entire water to Ikpoba dam.